Are you locked out of your home? Do you need new high-security locks? For all your lock & key needs, you need a locksmith who’ll provide you with quick, reliable, qualitative and affordable services. Locksmiths have been around for centuries and have been applying their learned skills to provide solutions that have long kept the community safe and secure. Today, their role takes on a still more challenging avatar that has upped the education and skill requirements of individuals. Finding competent locksmiths to match the desired criteria might seem like daunting task, but not if you live in Los Angeles, CA area. Meet the region’s most sought-after locksmiths – Los Angeles Central Locksmith. We commenced operations with an aim to deliver solutions that are in sync with modern requirements. From tending to basic needs such as key cutting, lock repairs, installation to complex requirements such as master key system setup, high security lock installation and security audits, our all-inclusive solutions can meet the dynamic needs of clients from automotive, residential and commercial sector. To ensure provision of the highest quality of services, we start with the men who represent us on the field. With a screening process that’s so refined, we’ve managed to pick out the finest, proficient and highly-skilled technicians to be a part of ouor team. And it doesn’t stop there. We believe that there’s always room for improvement and we strive to make the best even better through regular training sessions, organizing workshops, and more. Our constant endeavors to improve the skillset and knowledge of our technicians have earned our team the badge of being one of the best in the region. Lost your car keys? Is your ignition showing signs of malfunction? Perhaps, it’s time you hired our automotive locksmiths. 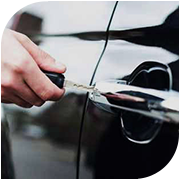 Trained, educated and competent, our technicians can address a wide range of automotive locksmithing concerns. 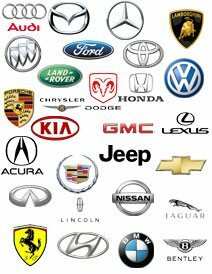 Be it any make or model of vehicle, old or new, simple or sophisticated, we are aware of the vast variations in vehicular locks & keys and render the appropriate solutions. From programming transponder keys to opening locked trunks, trust our automotive locksmiths for an all-inclusive, timely and affordable service. When was the last time you hired locksmiths for a complete security overhaul? Commercial properties are potentially vulnerable to external security threats owing to the vast amount of valuable information and assets they hold. As such, you need to ramp up the security level by seeking expert advice from our commercial locksmiths. Apart from offering business security solutions, we also undertake regular locksmithing work that includes key cutting, maintenance work, safe installation, file cabinet locks, keyless entry system installation, setting up emergency exit locks and more. Do you require new locks for your property? Or guidance on ramping up your home security? Turn to our residential locksmiths for help! We provide a vast array of solutions that are tailored to meet the requirements of residential spaces. From installing new locks, to providing eviction locksmith service to catering to basic maintenance/repair work, we do it all. We also provide free consultations to assess home security levels and recommend measures to bolster the security framework. Our home locksmiths know how to work well under the assigned timeframes and under budget, to deliver quality solutions. 24-hour availability, doorstep service and the trust of several residents have made our services one of the finest in Los Angeles, CA area. The worst situations one can find themselves in are those that come unannounced, at unexpected times. To help you battle out such emergencies, we have an emergency response unit that dedicatedly serves you round-the-clock. Got yourself locked out? Did you just experience a burglary and require urgent repairs? Do you need an eviction locksmith on an urgent basis? Whatever be your need, we impart utmost importance to resolving such contingencies in the shortest time frame. With rapid response, 24-hour availability and a 20-minute response time, count on us if you ever find yourself in desperate need of a locksmith. Require lock & key services? Choose the best, choose Los Angeles Central Locksmith! Los Angeles Central Locksmith is a renowned firm that has managed to revolutionize the locksmithing sector through provision of high-quality, cost-effective and a vast range of locksmith services. We started on this journey decades ago and have continued on the quest to achieving excellence ever since. We believe that the true measure of success comes not by assessing financial gains, but by measuring customer satisfaction. Through our constant upskilling programs we train our technicians and mold them to respond ably to the dynamic customer requirements. To facilitate movement and provision of on-the-spot services, we’ve equipped ourselves with a state-of-the-art mobile vehicle fleet. To provide added convenience, we’ve extended our hours of operation to stretch round-the clock. To ensure maximum levels of customer satisfaction, we provide quality work at low prices. Since we’ve always gone that extra mile to better ourselves, it’s no wonder that we’ve reached a prominent position in the industry, where we’re known for our timeliness, quality, reliability, and affordability. Our high standards: We don’t try to pass off something average as good. For us, anything short of best is not good enough. From the tools we use to the products we provide, you’ll find them to be high-end and of superior quality. 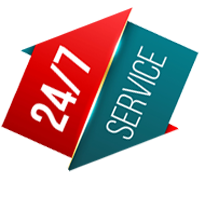 24-hour availability: You might be in need of a locksmith at odd hours. To cater to your needs even in the middle of the night, we work in shifts round-the-clock. Be it an emergency or for standard service, you can reach out to us at any time. Mobile solutions: To reach out to all corners of Los Angeles, CA area, we operate mobile vehicles that can drive up to any location, in quick time. All our vans are loaded with cutting-edge tools and equipment to render services onsite. Pocket-friendly services: Despite establishing high standards and providing quality assurance, we do not charge sky-high prices for the same. All our rates are nominal, and in fact, one of the lowest in the industry. You get complete value-for-money, if you hire us. Do you have a lock & key concern? There can be no one better than Los Angeles Central Locksmith to serve you! We Provide 24 Hour Lock & Key in the following zip codes.